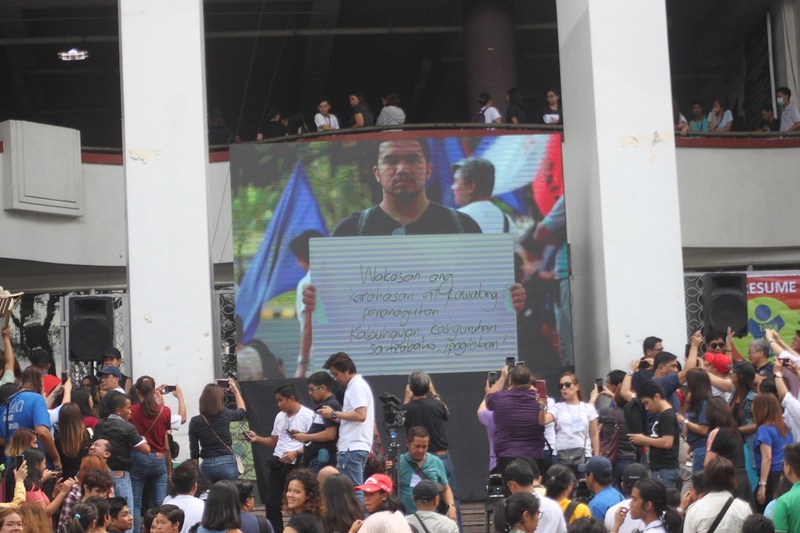 MANILA — This year’s Oblation Run highlighted the Filipino people’s fight for democracy and called for the defense of freedom of expression amid worsening attacks on media and various sectors critical of the policies of the Rodrigo Duterte administration. 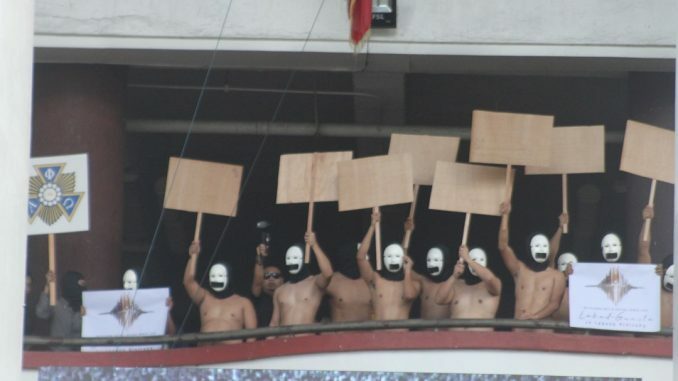 Led by the Alpha Phi Omega (APO) Fraternity – Eta Chapter, the APO Fraternity’s University of the Philippines Diliman (UPD) Chapter, the naked runners wore masks with covered mouths while carrying blank wooden placards as they staged their annual tradition at the UP Diliman Palma Hall. 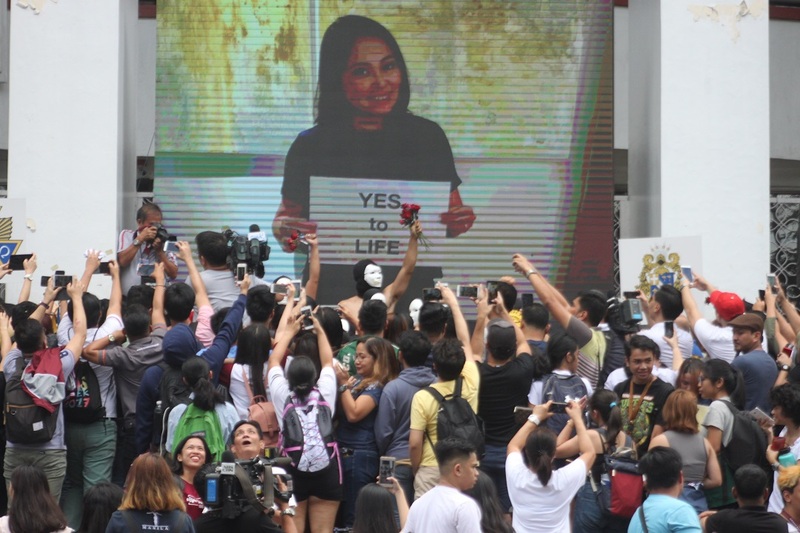 An LCD screen featured videos and photos of known UP personalities and leaders holding placards with the various messages and demands being campaigned for by their respective sectors. 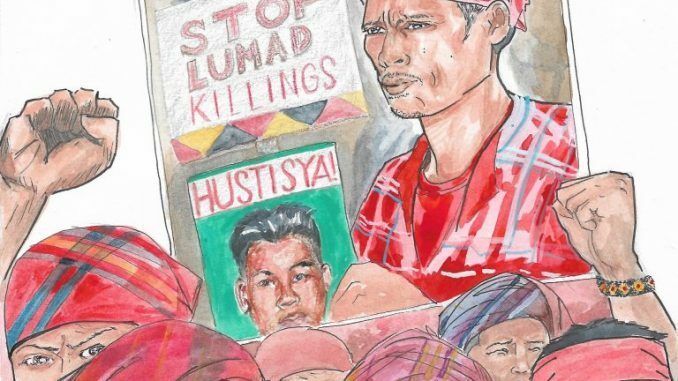 Among them were UP Faculty Regent Bomen Guillermo, UP Student Regent Ivy Taroma, UPD Chancellor Michael Tan, All UP Academic Employees Union national president Carl Ramota, and journalist and newly-appointed United Nations High Commissioner for Refugees (UNHCR) National Goodwill Ambassador Atom Araullo. 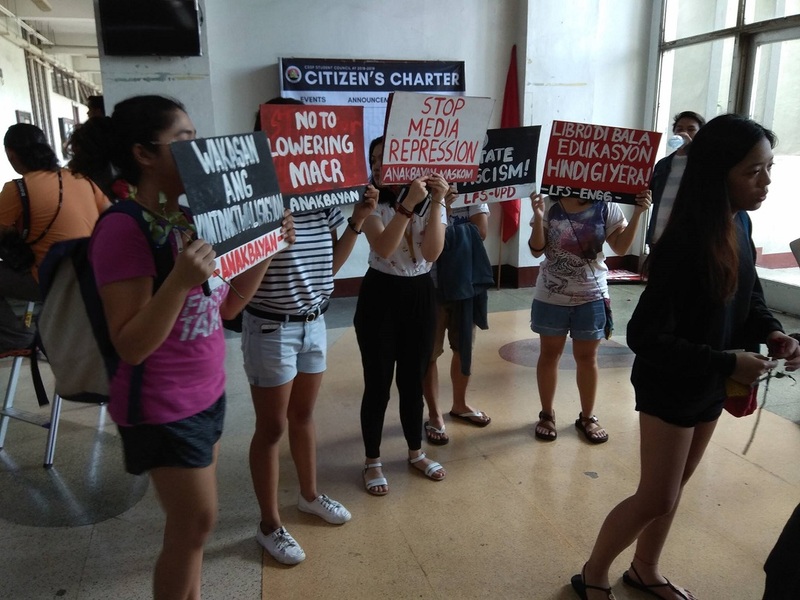 According to the APO spokespersons, the masks and placards symbolize their calls, and the Oblation Run, a tradition that began in 1977 during the Marcos dictatorship as an effective form of protest, amplifies the people’s demands and issues. 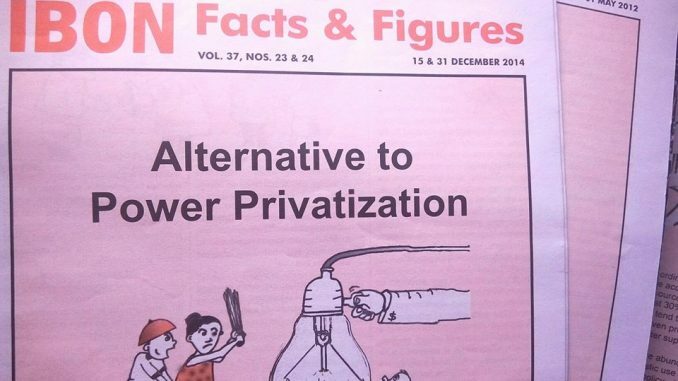 They also called on the public to become more vigilant, critical, and involved in people’s issues in order to bring about social justice, freedom and progress for all. 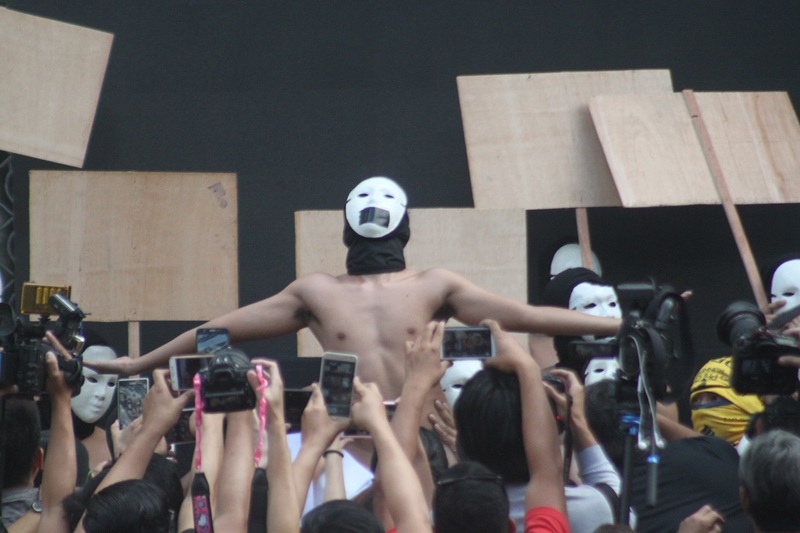 The post Oblation Run 2019 highlights fight for democracy, freedom of expression appeared first on Bulatlat.